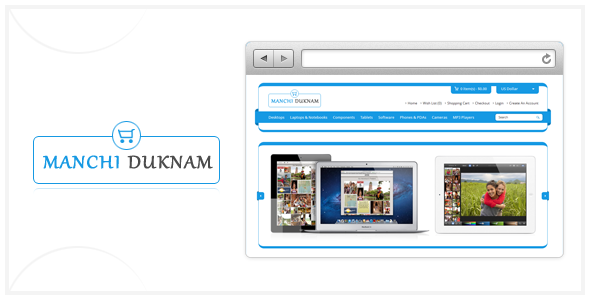 Manchi Duknam Opencart Theme is a simple clean elegant theme, with Advance options like product image zoom, latest product carousel and featured product carousel with options to manage from admin. Also availabe only theme without these options. 1. 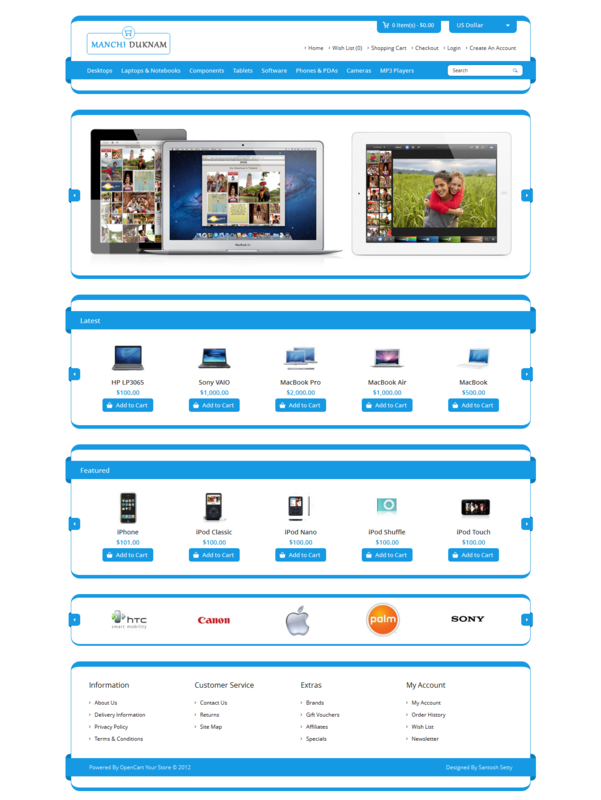 Product Image Zoom on product page. 2. 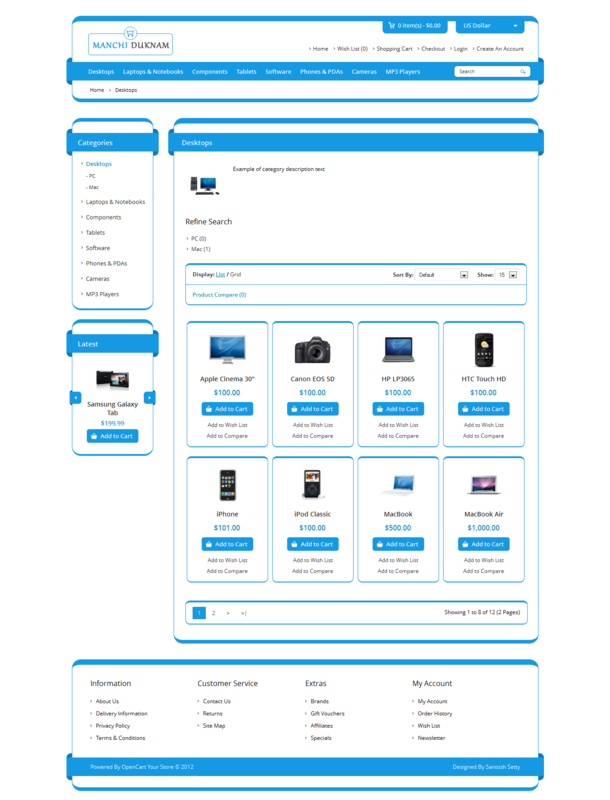 Latest and Featured product carousel with options like easing, autostart etc.., which can be easly manage from admin. Note: All images are only for demo purpose only you won’t get any images.